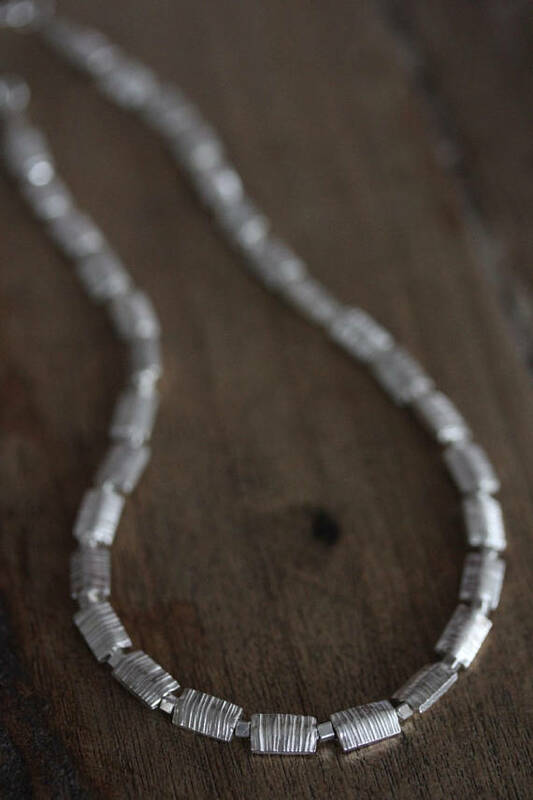 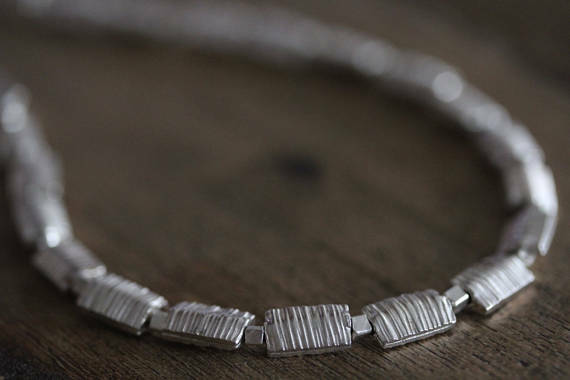 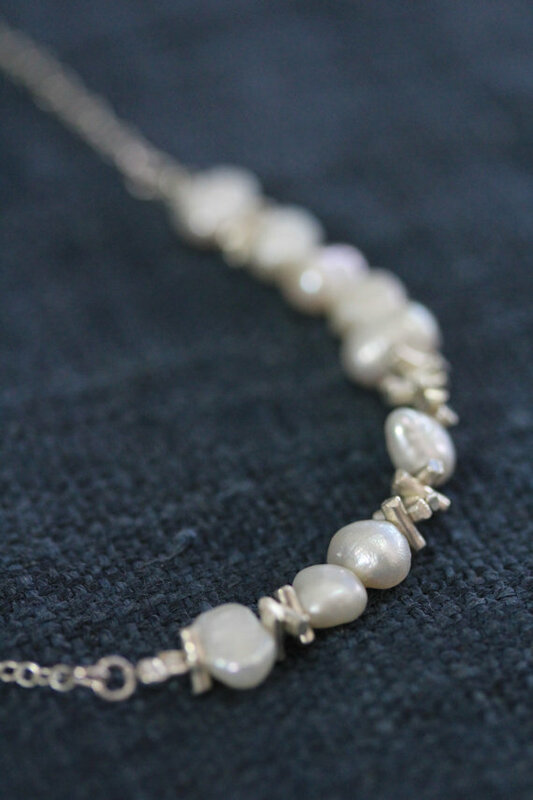 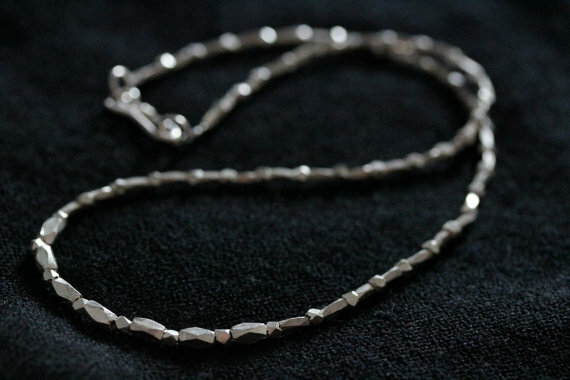 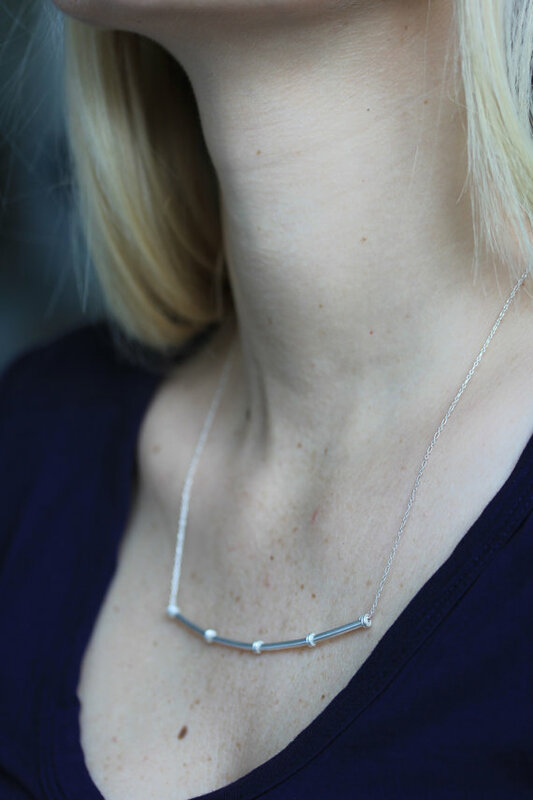 This simple yet elegant necklace is made of handmade silver beads, made from two rectangular silver halves, soldered together so that they are “puffed” in the middle, like a pillow. 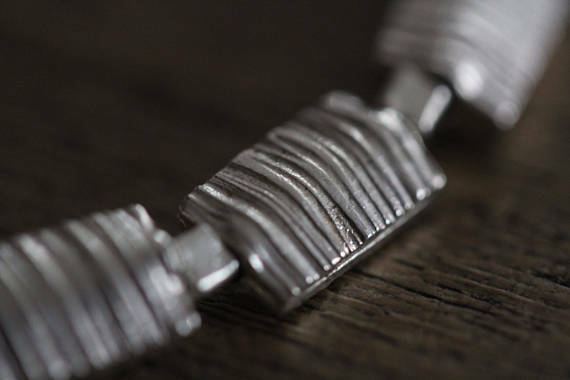 The surface streaks are also handmade by chiselling with fast deep strikes of the narrow part of the straight-peen hammer. 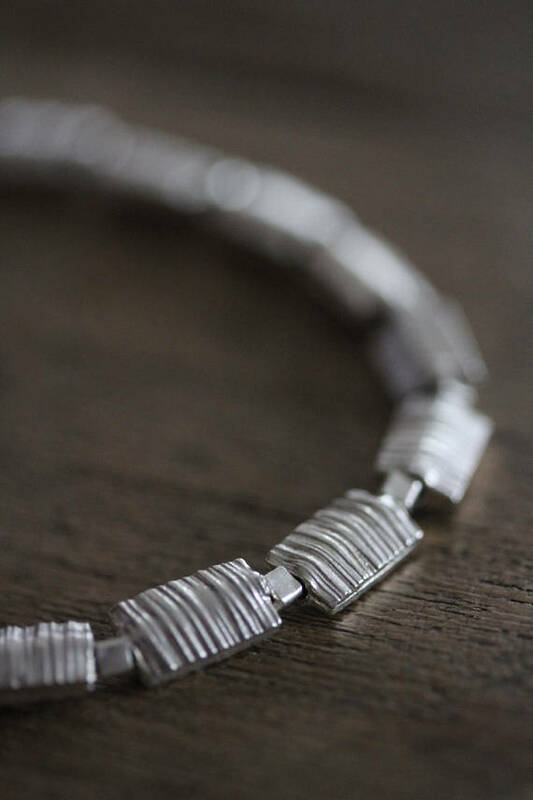 In between the pillow beads there’s a small cube-shape handmade silver spacer bead. 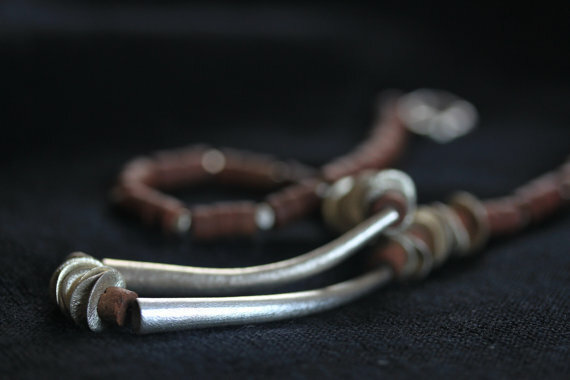 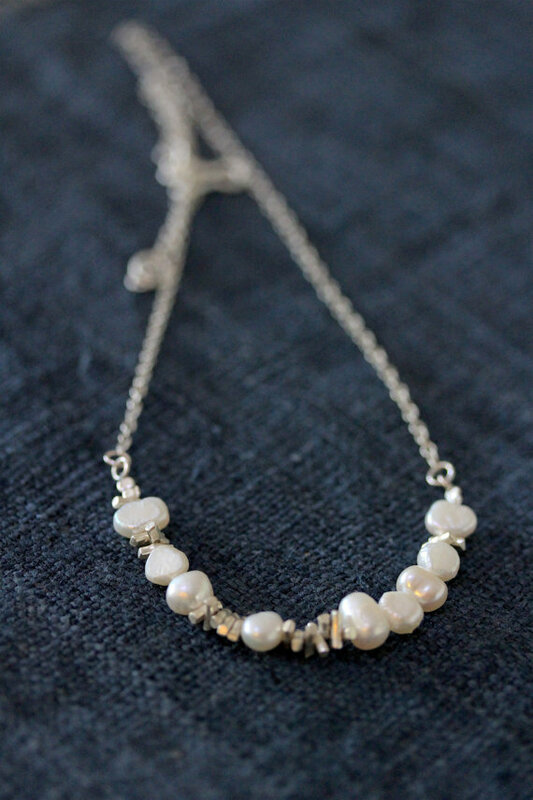 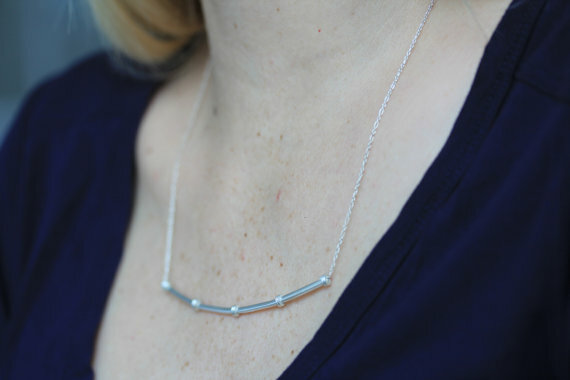 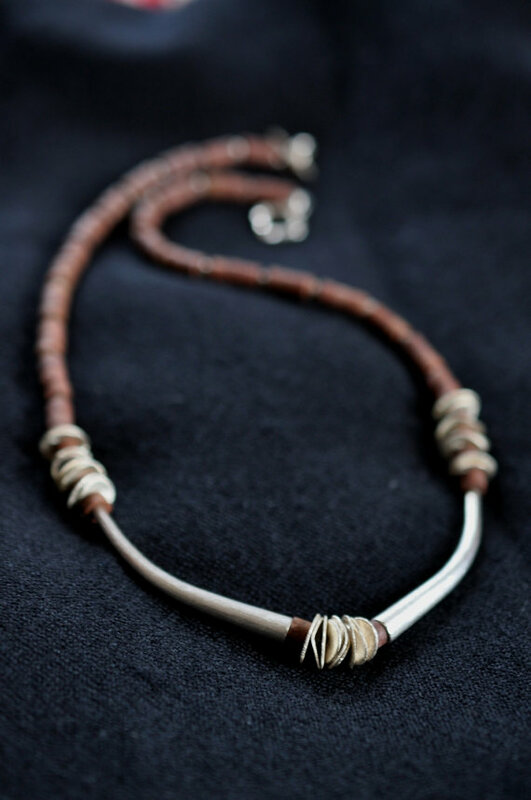 The necklace closes with a simple sterling silver hook.